Are you tired of taking prescription medication? If you want to feel better without the unwanted side effects of prescription meds or dealing with health insurance claims, then read this…Did you know that according to the CDC, over 100,000 people a year die in the United States from medications prescribed to them by their doctor?Hundreds of 1000’s of people experience adverse side effects from taking medication that is suppose to help them.Are you one of those people?Are you one of those people that pay an exorbitant amount of money every month for medications to treat your chronic illness? Are you spending money that you don’t have on medications that aren’t really helping you?Do you have an illness that modern day medicine is unable to treat?If you have ever wanted a natural way to treat your illness, other than using expensive pharmaceuticals, CBD hemp oil may be the solution you are looking for. CBD oil is wholly medicinal with no known adverse side effects.CBD oil is derived from hemp, so there has been legislation to stop people from using it. Even so, it has become a popular choice among those looking to manage pain, anxiety, seizures and other difficult health problems, legally. Do you suffer from:SeizuresCancerChronic painNauseaAlcoholismDepressionAnxietyPost-traumatic stress disorderRheumatoid arthritis and other inflammatory diseasesALSIf so, then you can be helped! CBD has been proven to be an effective treatment for all of these conditions and more.CBD oil is not a cure, but it does offer treatment and management of the symptoms of many syndromes, disorders and diseases. 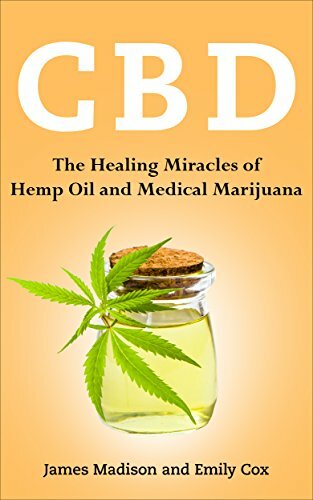 It has even been shown to suppress the growth of certain cancer cells.CBD can give you your life back!In this book you will discover:Why CBD can help you, even when prescription medications can’t.What exactly CBD oil is and how it can help you – yes you!Don’t buy CBD online until you know these factsWhy you should use CBD oil instead of marjiaunaWhere and how to buy CBD oil, even if its not legal in your state. We’ll show you how.How to make your own CBD oil. It’s easier than you may think!Is it against the law in your state or country? We show you how to find out and how you can still legally purchase it.How to turn your every day home products into CBD medicationTop 5 common mistakes people make when choosing CBD productsAnd much, much more!Imagine your life pain free! Don’t miss your chance to improve your life – you’re worth it! Click the “Add To Cart” button for instant relief!